Some darker beauties, perfect for those of you experiencing autumn in the southern hemisphere. 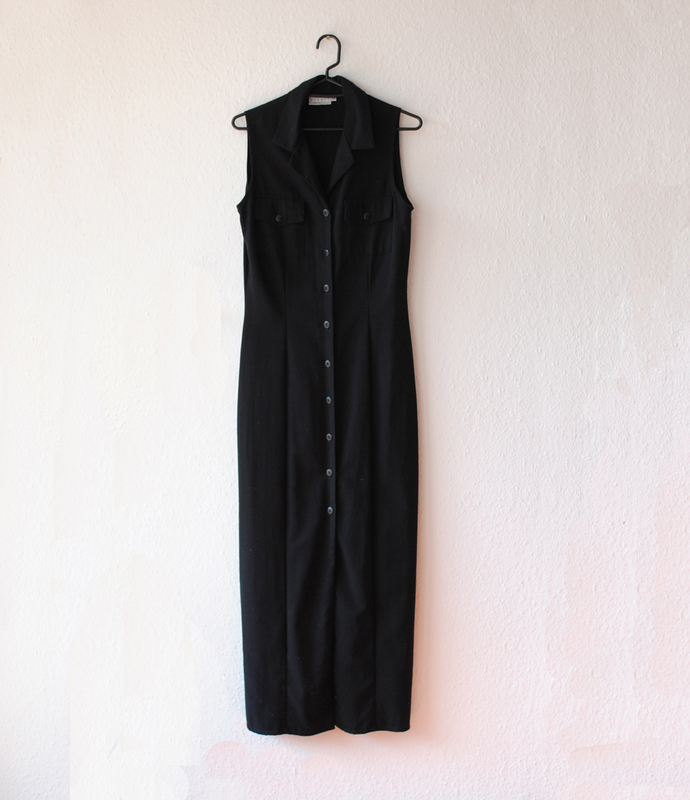 Nineties black maxi sleeveless shirt dress. Black taffeta maxi skirt and burgundy tulle maxi skirt. All available in the shop Now!